I also took part in the amazing opportunity of Learning Together… It was the most eye-opening experience I have ever had. It allowed me to remove my stereotypical ideas about prisons from my mind, gain first-hand experience of prison education. “I chose Nottingham Trent University (NTU) after visiting on an Open Day; the staff were so welcoming and answered every question I had regarding the course. The campus also looked amazing, as well as being not too far away from home (Birmingham). “The best aspect of studying at NTU has been the staff. They are so passionate about what they teach and the majority of them are active in researching the topics, they keep you updated with everything regarding the topic but are also supportive. I’ve had a few rough moments while studying for personal reasons and all of the staff have supported me through it and made it okay. “Nottingham as a city for students is amazing, everything is so close together and there is such a broad range of things to do. All the unique restaurants, bars and clubs are open to keep you happy and busy when you’re not at university. There are also loads of interesting places to visit. The community is always open to helping students with new opportunities and networking is great. “Criminology is not what I expected, but again I didn’t know what to expect. I enjoyed the theory aspects and the modules I chose in my final year. My research project was one of the hardest things I have ever done, but looking back, it has been my favourite part as I got to study the topic I was passionate about and take the lead on my work. Another favourite module of mine was Law, Sentencing and Punishment. It was interesting to understand the laws behind so many actions that happen on a daily basis, such as stop and searches. “The Service Learning module in Year Two saw me and a partner work on a project with a local primary school who wanted to make their local park safe. We worked with them to write letters to the Police Commissioner, understand the safety aspects around the park and come up with realistic responses to make it safe. It was the first time the school worked with NTU and from my knowledge, they have continued to work with them since our project. “I also took part in the amazing opportunity of Learning Together, which brings Criminology and Education students together with HMP students. A weekly class regarding Social and Criminal Justice would take place within a Prison Institution. It was the most eye-opening experience I have ever had. It allowed me to remove my stereotypical ideas about prisons from my mind, gain first-hand experience of prison education and speak to some extremely interesting people that I never would have spoken to before. In my final year at NTU, I got to go back to the same prison with Learning Together and work as a facilitator, helping drive conversation and create bonds between all the students. It is something I would highly recommend. “The criminology staff have supported me through a lot of personal issues, they are always available to chat via email or in person. They make sure you are okay, and see that mental and physical health is a priority over studies and do everything they can to ensure you are coping with the work around you. 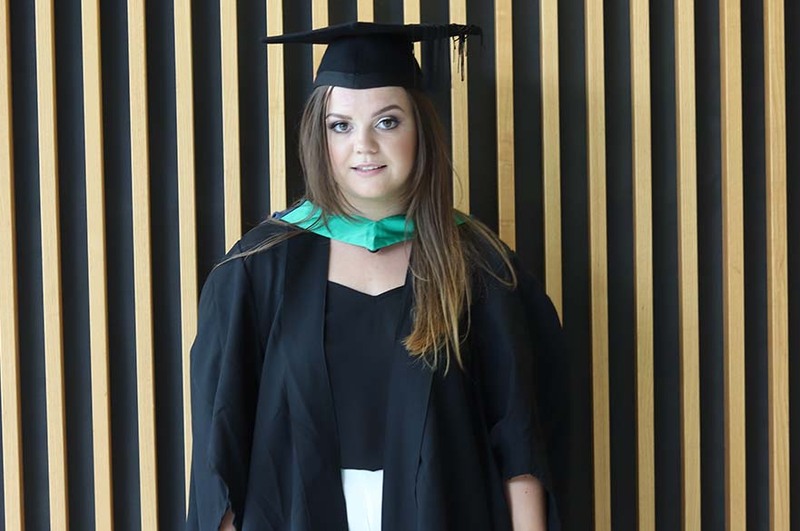 “The School of Social Sciences provided me with the opportunity of Learning Together, which has shaped my career plans to wanting to work in Education and Resettlement of Prisoners within the community. Before NTU, I was never sure of what I wanted to be, it swapped from teacher to social worker and now, as long as I am working within some field of the Criminal Justice System or with those who have a Criminal History I will be happy.